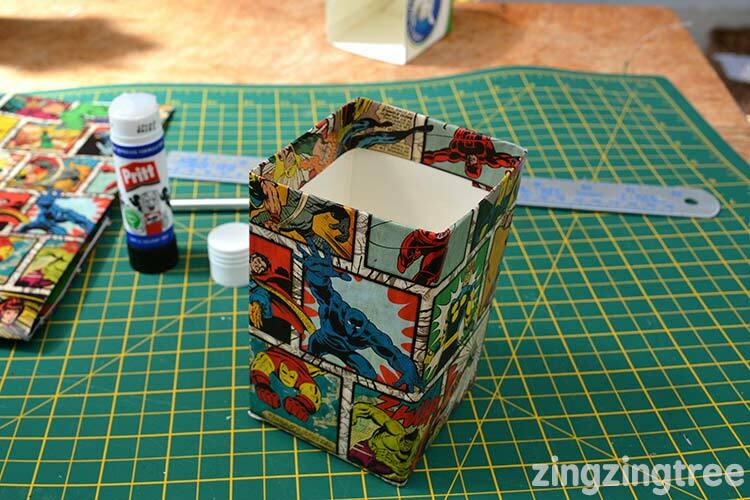 I love this Milk Carton (tetra pack) Craft. We give them as Teachers Gifts every year but also use them at home to hold all kinds of stationery and craft items. 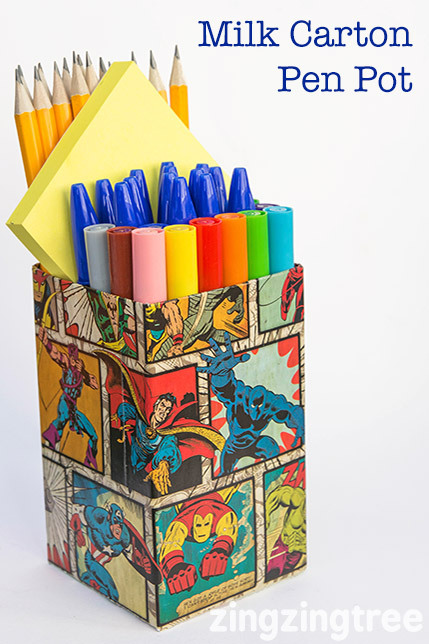 Because they’re water proof (they hold liquid after all) it makes them perfect for storing items that might leak such as pens and felt tips plus you can tailor make them to suit any interior. 1.) 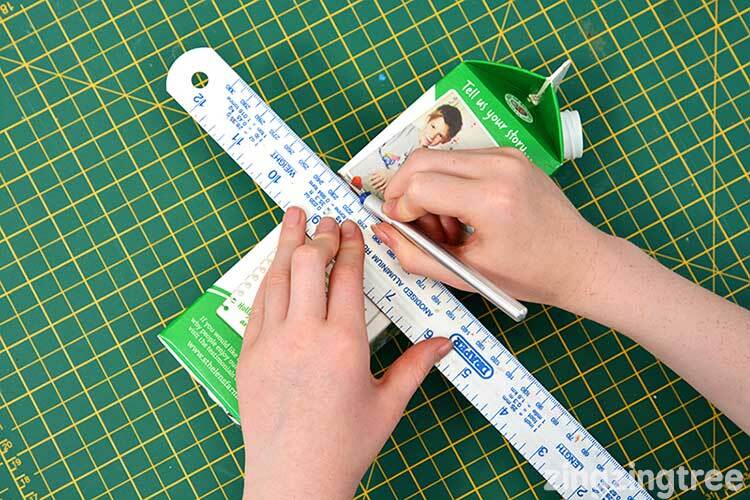 Measure and cut your milk carton to the desired height (the Avengers pen holder has a height of 115cm). It’s easier to cut it with a craft knife but you can do it with a pair of scissors as well. 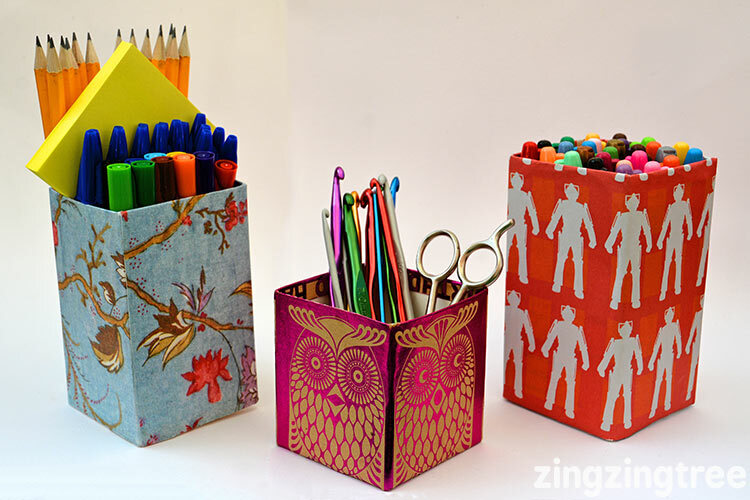 2) Cut out a piece of patterned paper that will wrap around the carton and over lap by about an inch and also add 1-2 inches to the top so that you can fold it over and glue to the inside and create a neat finish. Take care to look at how you want the pattern to sit on the carton. 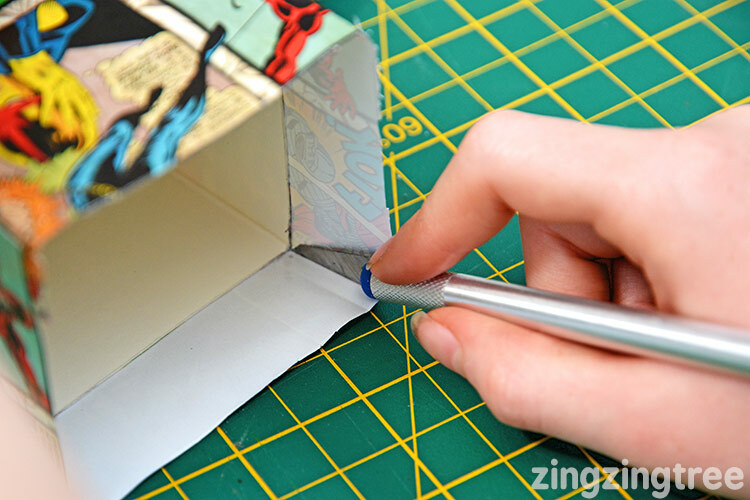 3) Take your time gluing the first side in place making sure the pattern and paper edges are properly aligned. 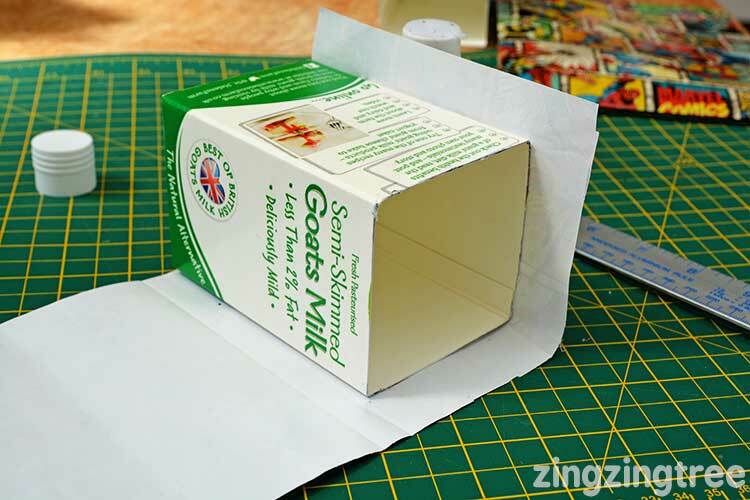 Add the glue to the carton and not the paper. Do each side one at a time. If you use liquid glue spread it very thin and evenly to minimise any creases. The paper will ripple a little as it absorbs the moisture and stretches. Most of the ripples will disappear when dry but there will be a little texture left. 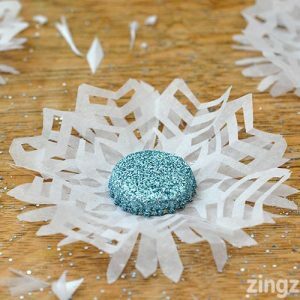 4) Carefully cut each corner of the over hanging paper and wrap it over and glue in place. And there you have it. One rather cool storage/pen pot waiting to be filled. What a fantastic creative and low cost teacher’s gift idea! 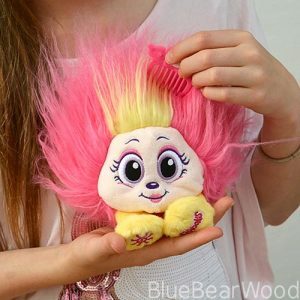 Fab. 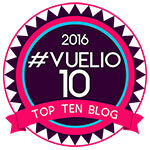 I love this idea, so much fun and also practical. 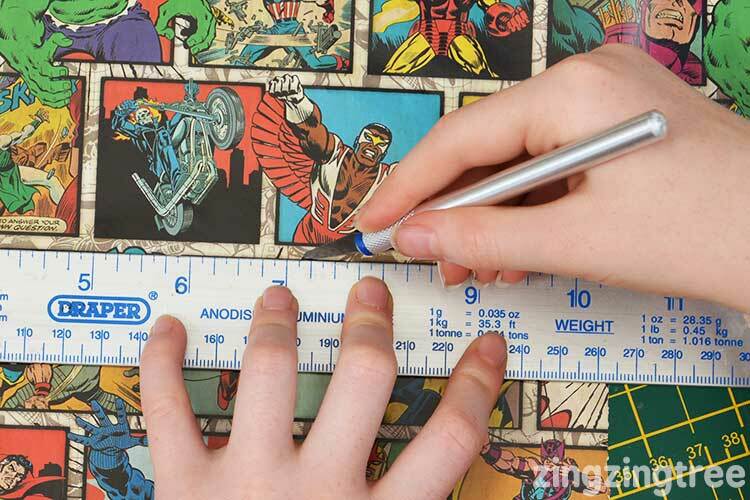 Big fan of the comic book paper too! 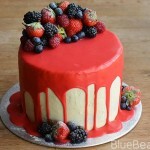 Oh this looks amazing, I think I will get the kids making them next week when they are on their holidays. That’s a great idea, especially as they’re waterproof, very creative. What a fab idea and I especially like your owl one. This looks like a fab wet weather activity for the Summer Holidays! These are beautiful and look so versatile, Very useful. Very crafty and I like the comic book theme.